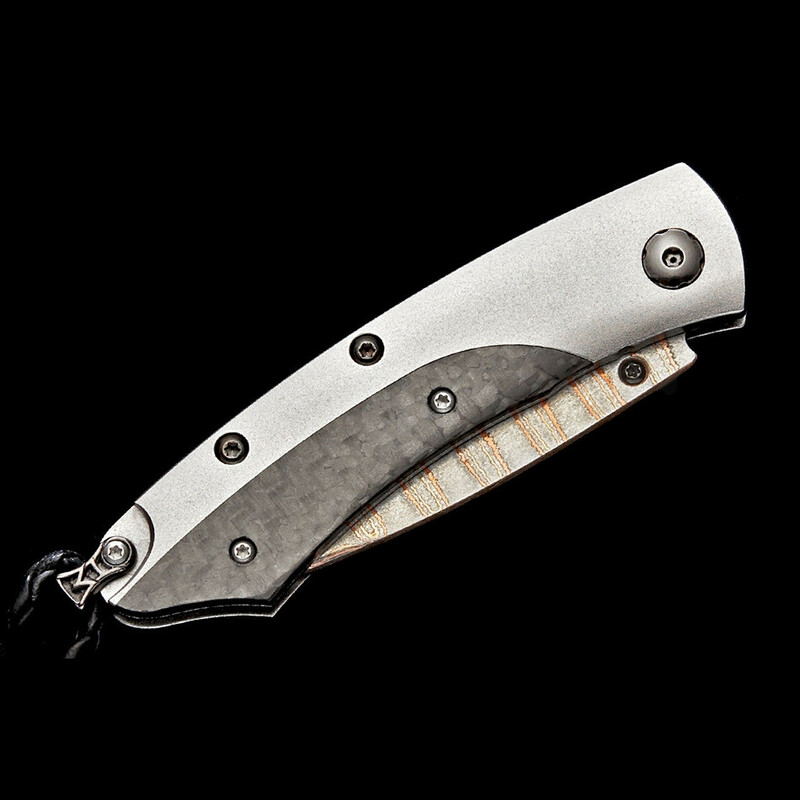 This razor-sharp pocket knife from William Henry's Pikatti collection has a looking-smart style! 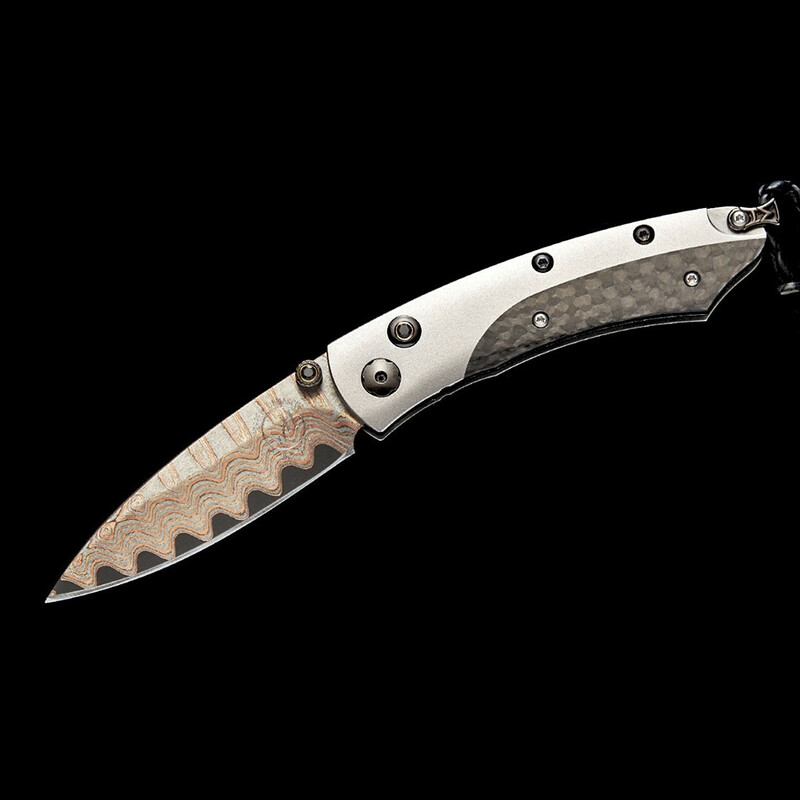 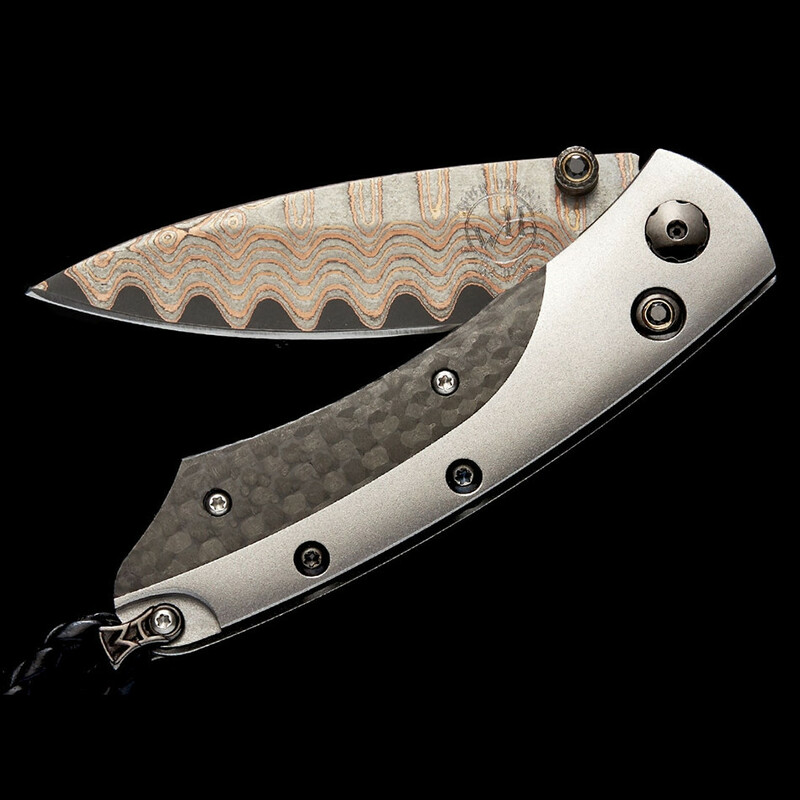 Crafted with an aerospace-grade titanium frame, it features a carbon fiber inlay, "Copper Wave" Damascus steel blade with VG-5 core, and spine gemstone-set one-hand button lock and thumb stud. 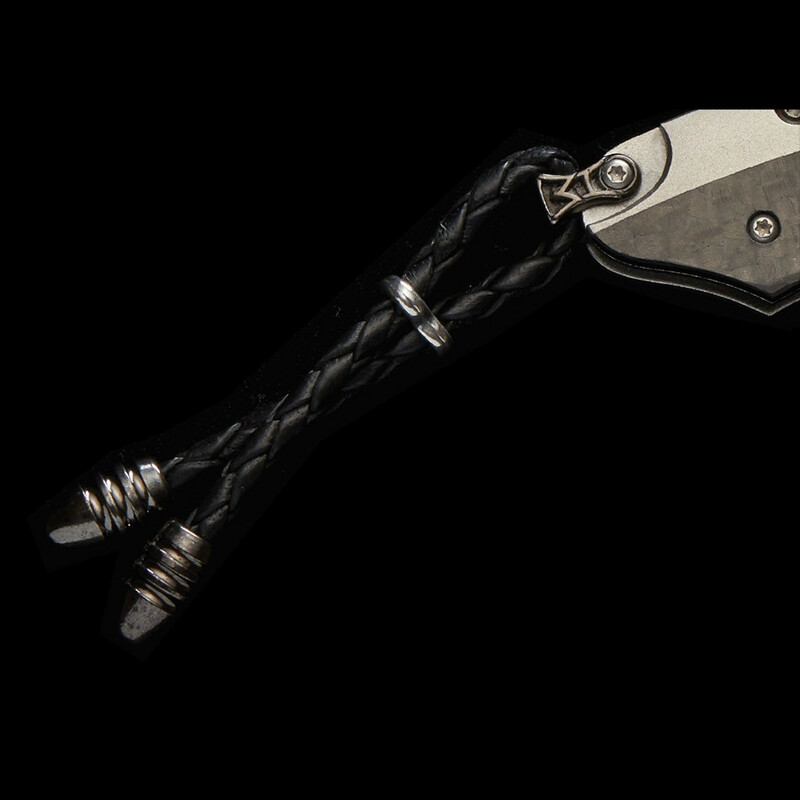 Among the smallest William Henry folding knives, the Filament model is ready to be your constant companion.